The sale is over - but Brian's books still make excellent affordable gifts. If you don't fancy anything here see the full Science Books list, or the Fiction list. Quizzes can be good fun, but they rarely seem to have enough science questions. Here there are not just questions and answers, but each surprising answer is explored in more detail. Quizzes can be good fun, but they rarely seem to have enough science questions. •	If the Earth were made into a black hole, what would be the diameter of its event horizon? •	What links the elephant Tusko at Oklahoma City Zoo and Timothy Leary? •	If you too one step each second in seven-league boots, what would your speed be in miles per hour? •	What was Einstein’s 1930 patent for? •	Why did Uuq become Fl? … and, yes, How Many Moons Does the Earth Have (which QI gets wrong). Although the quizzes can be run as actual events, there’s far more to it that than that. You can test yourself on each question, supported by intriguing factoids, then turn the page to not only on find the answer but a page that expands on the result to give an intriguing exploration of science. Take a look in the mirror. 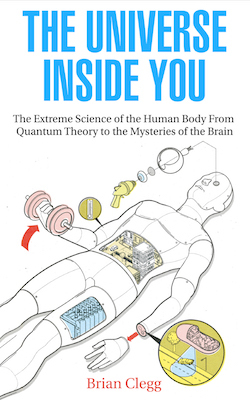 This book uses your body to explore all of science - not just biology, but everything from quantum theory to relativity. The human body is amazingly complex and makes a great way to study the universe. Built from the debris of exploding stars that floated through space for billions of years, home to a zoo of tiny aliens, and controlled by a brain with more possible connections than there are atoms in the universe, the human body is the most incredible thing in existence. In the sequel to his bestselling Inflight Science, Brian explores mitochondria, in-cell powerhouses which are thought to have once been separate creatures; how your eyes are quantum traps, consuming photons of light from the night sky that have travelled for millions of years; your many senses, which include the ability to detect warps in space and time, and why meeting an attractive person can turn you into a gibbering idiot. Find out more at the book’s website. When you make a decision to do something your brain fires up about 1/3 of a second before you are consciously aware of making the decision. Enter the invisible world of sub-atomic particles and discover the very core of existence. This compact, highly illustrated handsome hardback is a perfect primer in quantum physics. Enter the invisible world of sub-atomic particles and discover the very core of existence. Cracking Quantum Physics takes you through every area of particle physics to clearly explain how our world was, and is, created, breaking down the most complex theories into easily understandable elements. There is something special, something wonderful about light. What is it? How does it work? How has it inspired people over the centuries? How might it enable us to sent messages back in time? 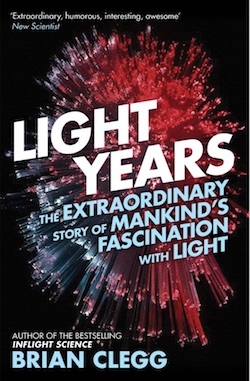 This new, fully updated edition of Light Years take us on an exploration of humanity's fascination with light from the earliest recorded times to the most up-to-date science. Light is at the very heart of our existence. Without a dancing web of photons knitting atoms together, there would be no matter, no universe. Without light-driven photosynthesis producing plant-life and oxygen there would be nothing to breathe, nothing to eat. We are creatures of light: physically and spiritually dependent on this paradoxical phenomenon that is taken for granted yet remains deeply mysterious. Light Years tells the story of light through the remarkable people who have been captivated by it. From Neolithic man’s worship of light at Stonehenge to the Impressionists’ revolutionary observations of light in painting and the shattering conclusions of Einstein and Feynman, Light Years explores each stage of this extraordinary saga of discovery. According to Einstein nothing can travel faster than the speed of light. Of all the mind-bending theories in modern physics, that, at least, seemed a rule that the universe would abide by. Yet in 1994 at the University of Cologne, Professor Günter Nimtz sent a recording of Mozart’s 40th Symphony through a physical barrier at four times the speed of light. Yet again, light had confounded those who had sought to understand it. Light Years is a journey through time, telling the story of the individuals who were determined to unlock the secrets of this mysterious natural force, all the way through to the new millennium where we are confronting the possibility that a pulse of light can be sent many times faster than light speed, opening the way for messages to be sent backwards in time. We are only just beginning to understand the true power of light. Light Years is the ultimate odyssey into the heart of the most beautiful and most startling phenomenon in all of nature – light. The latest edition includes a new appendix with original documents from Newton, Faraday and more, adding depth to the story of light. Numbers began as simple representations of everyday things, but mathematics rapidly took on a life of its own, occupying a parallel virtual world. In Are Numbers Real? 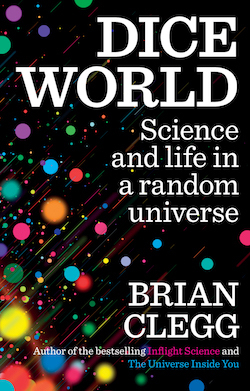 Brian Clegg explores the way that maths has become more and more detached from reality, yet despite this is driving the development of modern physics. Have you ever wondered what humans did before numbers existed? How they organized their lives, traded goods, or kept track of their treasures? What would your life be like without them? From devising a new counting system based on goats, through the weird and wonderful mathematics of imaginary numbers and infinity to the debate over whether mathematics has too much influence on the direction of science, this fascinating and accessible book opens the reader's eyes to the hidden reality of the strange yet familiar world of numbers. 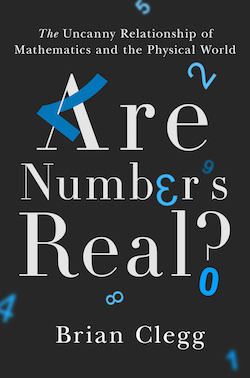 "In "Are Numbers Real "Clegg tackles a very deep question in his usual way; with clarity, wit and a wonderfully clear narrative writing style. For me, numbers are like natural language: they obviously don t exist in a physical sense you cannot trip over the number '2' in the street yet numbers are at the heart of understanding the universe. 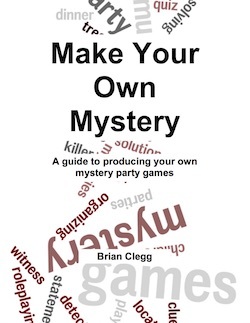 Clegg covers a wide variety of subjects to seek out the truth of the matter in an engaging and hugely accessible way. I personally couldn't put it down, and as an active researcher in the field itself, it has provided me with some very real (?) food for thought." Dr. Peet Morris. University of Oxford. 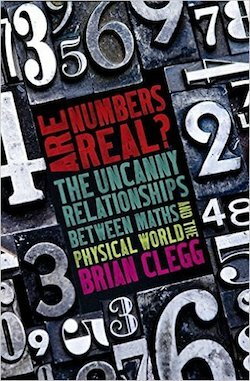 "Brian Clegg's "Are Numbers Real?" Is a compact, very readable, and highly entertaining history of the development and use of mathematics to answer the important practical questions involved in advancing civilization... Even for the reader not versed in the vector calculus used in the statement of Maxwell s Laws, simply seeing the four Laws mathematically stated will induce (certainly the "mot juste" here) the feeling that this is the way the Universe is meant to be understood. And that sense of wonder permeates the entire book...a superb introduction to mathematics, science, and that branch of philosophy devoted to exploring the nature of reality." Dr. James Stein, Professor of Mathematics at CSULB. As troubling as we pattern-seeking humans may find it, modern science has repeatedly shown us that randomness is the underlying heartbeat of nature. 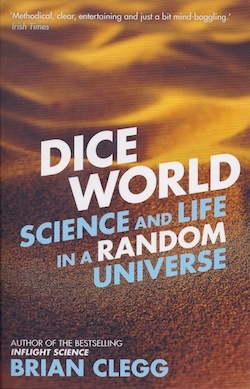 In Dice World, we take an incredible trip around our random universe, uncovering the truths and lies behind probability and statistics, explaining how chaotic intervention is behind every great success in business, and demonstrating the possibilities quantum mechanics has given us for creating unbreakable ciphers and undergoing teleportation. We explore the way that the ‘clockwork universe’ imagined by Newton, in which everything could be predicted given enough data, was disproved bit by bit, to be supplanted by chaos theory and quantum physics. This is a world in which not only is accurate forecasting often impossible but probability is the only way for us to understand the fundamental nature of things. Packed full of amazing insights from physics, chemistry, engineering and more, Inflight Science is a voyage of scientific discovery perfect for any journey - even if it's just in your armchair. There are few times when science is so immediate as when you're in a plane. 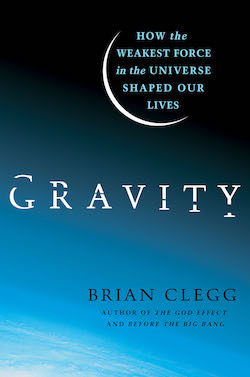 Acclaimed science writer Brian Clegg shows how you stay up there - but that's only the beginning. Because the flying provides a unique opportunity to see the world around you differently. Inflight Science explains the ever-changing view, whether it's crop circles or clouds, mountains or river deltas, and describes easy-to-do experiments to show how a wing provides lift, how to calculate the population of the towns you fly over. You'll learn why the coastline is infinite in length, the cause of thunderstorms and the true impact of volcanic ash on aircraft engines. 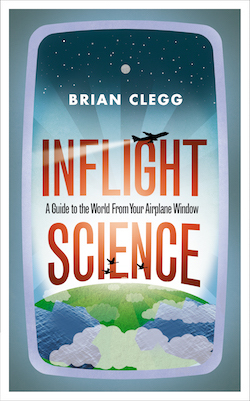 Packed full of amazing insights from physics, chemistry, engineering, geography and more Inflight Science is a voyage of scientific discovery perfect for any journey - even if it's just in your armchair. Physics is the most fundamental of the sciences, describing how everything works, yet it is often seen as remote and technical. This pocket guide, produced with Scientific American, sets out to change that. With 100 bite-sized articles on everything from relativity to quantum entanglement, and entertaining 'cocktail party tidbits' for every topic, it makes a fun physics stocking-filler. Physics, the topic of this book, is the fundamental science. The great physicist Ernest Rutherford once said “All science is either physics or stamp collecting.” He meant that most other science at the time was about collecting and categorizing information. Physics explained how the universe works. And that’s exciting stuff. 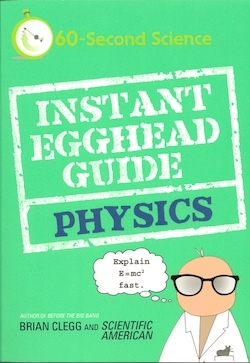 Instead of taking the traditional approach of starting with 19th century science and bolting on what has since replaced it, the Instant Egghead Guide to Physics plunges in with quantum theory, relativity and more - making these fundamentals of physics easy to grasp, and building a modern picture of the workings of the universe on them. •	About 50 trillion neutrinos from the Sun shoot through your body every second. •	Because all solid matter was produced in early stars and stellar explosions, Joni Mitchell got it right in her 1960s song “Woodstock” - we are stardust. •	If you flew towards a black hole, the difference in gravitational pull between your feet and your head would stretch you out long and thin like a piece of spaghetti. •	Our eyes are so sensitive we can see a candle flame ten miles away on a truly dark night. An exploration of the interaction between science and science fiction, celebrating the inspiration of SF and the fascinating divergence between science and technology in fiction and the real world. Science fiction is a vital part of popular culture, influencing the way we all look at the world. TV shows like Star Trek and movies from Forbidden Planet to Inception have influenced scientists to enter the profession and have shaped our futures. Science fiction doesn't set out to predict the future — it's far more about exploring "What if?..." — but it is fascinating to see how science fiction and reality sometimes converge, sometimes take extraordinarily different paths. 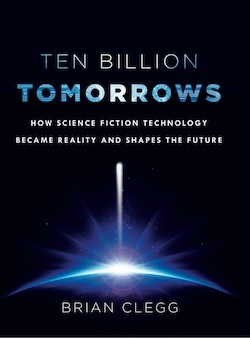 Ten Billion Tomorrows brings to life a whole host of science fiction topics, from the virtual environment of The Matrix and the intelligent computer HAL in 2001, to force fields, ray guns and cyborgs. We discover how science fiction has motivated us to think differently, whether it is Star Trek's holodeck inspiring makers of iconic video games Doom and Quake to create the virtual interactive worlds that transformed gaming, or the strange physics that has made real cloaking devices possible. Mixing remarkable science with the imagination of our greatest science fiction writers, Ten Billion Tomorrows will delight science fiction lovers and popular science devotees alike. Discover the massive challenges that face explorers, both human and robotic, to uncover the current and future technologies that could take us out into the galaxy and take a voyage of discovery where no one has gone before… but one day someone will. Human beings are natural explorers, and nowhere is this frontier spirit stronger than in the United States of America. It almost defines the character of the US. But the Earth is running out of frontiers fast. 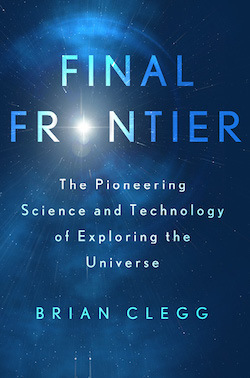 In Brian Clegg's The Final Frontier we discover the massive challenges that face explorers, both human and robotic, to uncover the current and future technologies that could take us out into the galaxy and take a voyage of discovery where no one has gone before… but one day someone will. In 2003, General Wesley Clark set the nation a challenge to produce the technology that would enable new pioneers to explore the galaxy. That challenge is tough — the greatest we’ve ever faced. But taking on the final frontier does not have to be a fantasy. In a time of recession, escapism is always popular — and what greater escape from the everyday can there be than the chance of leaving Earth’s bounds and exploring the universe? With a rich popular culture heritage in science fiction movies, books and TV shows, this is a subject that entertains and informs in equal measure. We'd all love to have 'psi' abilities like telepathy, telekinesis, and remote viewing. But is there any solid evidence to back up these talents, or are they nothing more than fantasy? We still only understand a small percentage of the capabilities of the human brain—and we shouldn’t dismiss such potential powers out of hand. Although there is no doubt that many who claim these abilities are frauds, and no one has yet won James Randi’s $1M prize for demonstrating ESP under lab conditions, we still have a Nobel prize winner suggesting a mechanism for telepathy, serious scientists researching the field and university projects that produced potentially explosive results. What’s the verdict? 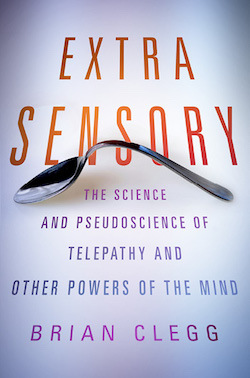 By looking at possible physical mechanisms for ESP and taking in the best scientific evidence, the reader can discover if this is all wishful thinking and deception, or a fascinating reality. The truth is out there. Everything we know is governed by four physical forces, but there is only one of them that is immediately obvious - gravity. Although ludicrously weak compared to the other forces (a tiny magnet can hold up a piece of metal against the gravitational attraction of the whole Earth), gravity permeates our everyday life and being. Everything we know is governed by four physical forces, but there is only one of them that is immediately obvious - gravity. Although ludicrously weak compared to the other forces (a tiny magnet can hold up a piece of metal against the gravitational attraction of the whole Earth), gravity permeates our everyday life and being. We begin with humanity's earliest ideas of how we remain stuck to the ground - a significant consideration when you realize that despite the myths, educated people have known the Earth was a sphere since the time of the Ancient Greeks. 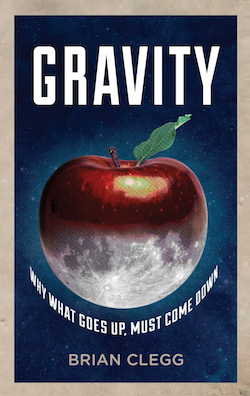 Along the way we'll see how the Arabic scholars explained the force of gravity, why Galileo didn't need to drop balls off the tower of Pisa, exactly how Newton came to his conclusions and why he refused to 'frame hypotheses' about gravity. We will explore the concept of action at a distance, and see how Einstein transformed our understanding of gravitation with general relativity and consider whether the graviton will ever be discovered. We will see how birds, bees and rockets seem to defy gravity, and whether the concept of anti-gravity can move from pure science fiction to possible fact. With 12 different mysteries to solve, including a Christmas treasure hunt, Organizing a Murder is a whole new approach to mystery parties. As a paperback, you can cut out to use straight away. As a PDF ebook, answer sheets, evidence and clues can be printed at a moment’s notice. Organizing A Murder contains twelve different mysteries to solve with your friends - and there's a huge variety. Not all the mysteries are murders, and the events are graded on three different levels, from those suitable for children from around 9, up to complex mysteries that need all the cunning of an adult player. Settings vary too, from a traditional country house to a starship in deep space. Unlike the party kits, there's a lot more variation in the way the each mystery is played out, from a simple treasure hunt, to a complex mystery with witness statements, clues and evidence to sift through. And because the players are all detectives, as individuals or teams, it's much simpler to organize as there's no need for costumes and embarrassing role-play. This approach means that any number of players can take part in one of these events. Whether you want to spice up a dinner party, keep the kids busy over the summer, or set a challenge for your team at work, Organizing a Murder can provide the answer. Ideal for those last minute parties - and it makes a great resource because you can print off elements like answer sheets and clues straight from the 118 page ebook to set the scene for your crime. Can’t find a game that’s just the way you want it? A do-it-yourself guide that provides all you need to write your own. Enjoy making your own mystery come alive. Ideal for the Christmas break. Mystery parties and murder mystery games are great fun, but there are a couple of problems with them. The kits are expensive to buy, and when you've used them once, they are useless. You are often constrained to a particular number of players, and you may not be able to find a game to match the theme you have in mind. Make Your Own Mystery is a solution to this problem. It guides you through the process of designing and making your own mystery party from scratch. Note that this will take some time. It's no use picking up this ebook the same day as your party. You are, after all, about to write an adventure. 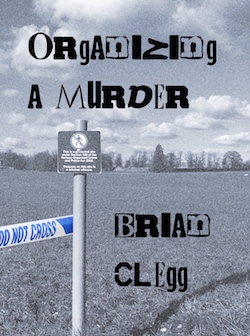 If you need something immediately, I suggest you check out the Organizing a Murder ebook. But it needn't take a huge amount of your time, and I hope you will get great satisfaction from having an original mystery no one else has ever played. In a compact, 44 page ebook you will find all you need to get started.